"A person should not be too honest. 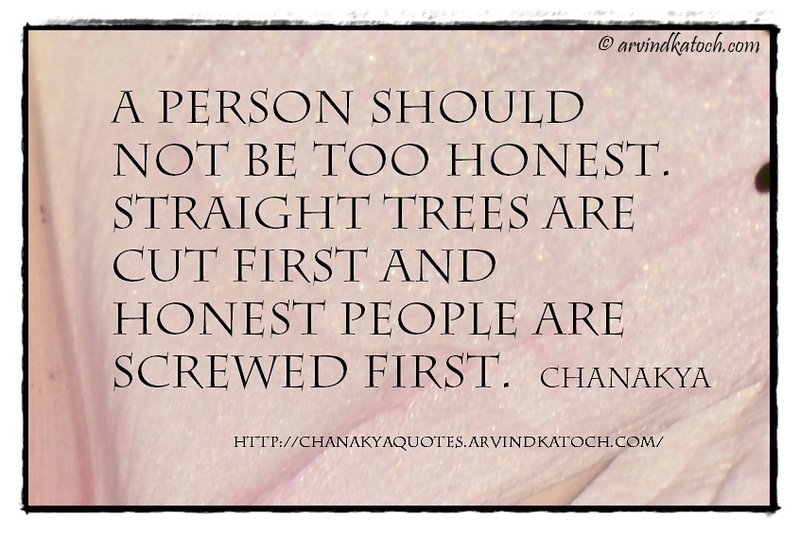 Straight trees are cut first and honest people are screwed first. Chanakya"
Chanakya Wise Quote Meaning- In this Quote, Chanakya gives advice that one should not to be very honest because straight trees are cut first.